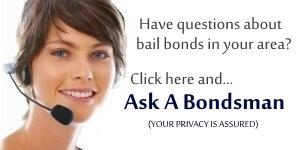 Hawaii Bail Bonds Question | Do People on Bond Go Back to Jail? What happens when you bail someone out before court in Hawaii? BAIL QUESTION: What happens if you bail someone out before their Arraignment and Plea court will they go back to jail or will they just have to show up to the court and they will be able to leave? Also how long does it take for a Bailbonds man in Hawaii to get the person out? Let’s start with answering the first question. “What happens if you bail someone out before their arraignment and plea…“. First, the defendant might already be out on bond. If the defendant is being arraigned, they still have the opportunity for bail, if the courts allowed it. There will also be some restrictions of their bail with the court and of course the bondsman. If the defendant is already out on bond, they should not go to jail awaiting a plea deal. The defendant will only go to jail if and when they are sentenced. That being said, the bondsman we spoke with wouldn’t write a bonds for someone being sentenced, that is unless the cosignor offered enough to cover the bond. Most defendants run off if they believe they will be sentenced, so most bondsman wouldn’t write that bond. Second question: How long does it take for a Hawaii bail bondsman to get someone out of jail? That all depends on where the person has been incarcerated and of course time and day. If it’s a busy weekend, expect to be waiting for release up to 6 hours. The defendant must be fully processed, given a bail amount and then wait for the bondsman to arrive with paperwork. If you were wondering how does bail work in Hawaii, or need to know more about bail, consider reading the info in the link above or contacting a bail bondsman in Hawaii for more detailed bail info. PreviousPrevious post:How to Get Bail Bond Money Back From a Friend?